The Cash Cannon Money Gun is the most exciting novelty item on the market today. Make it rain at the press of a button. Limited Edition Cash Cannon Chrome. 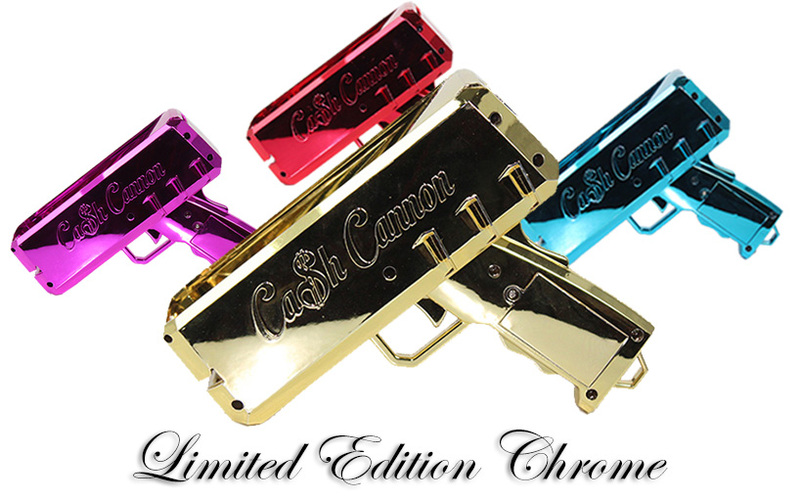 The limited edition chrome cash cannon on sale now.